Some of the most interesting costuming work on TV right now is happening on BBC America’s Killing Eve. 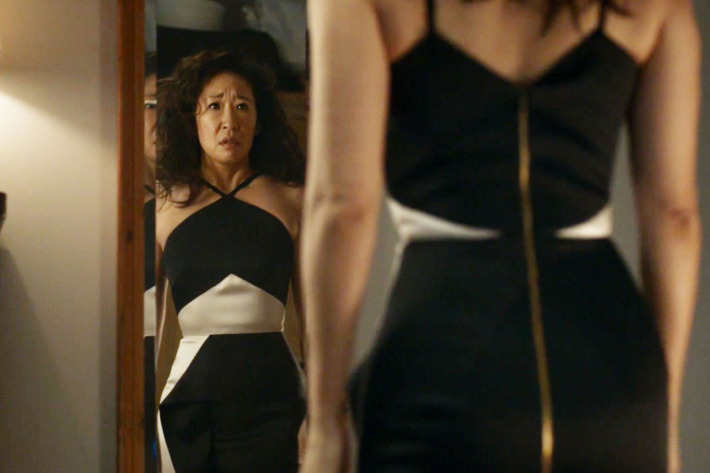 Clothing is an explicit part of the off-kilter, intimate relationship between Sandra Oh’s spy character Eve, and Villanelle, the serial killer she’s trying to capture (played by Jodie Comer). 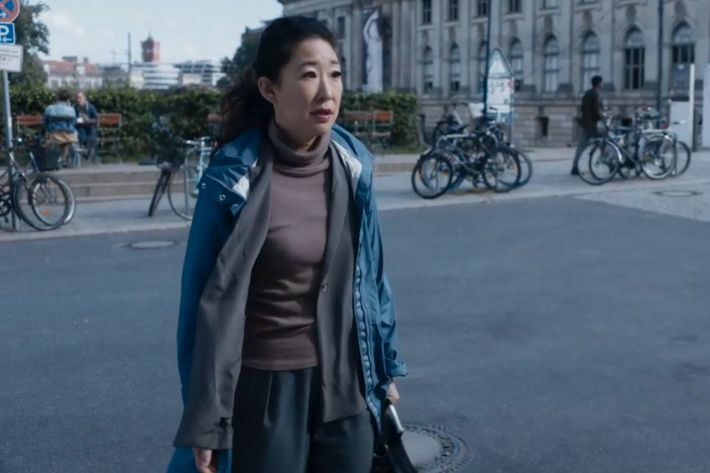 The show’s costume designer, Phoebe de Gaye, spoke with Vulture about the unusual opportunities of costuming someone like Killing Eve’s psychopathic Villanelle and the impossibility of making Sandra Oh look anything less than elegant. How much of what you see on the screen is outlined in the writing? How much leeway do you have? Well, I have quite a lot of leeway. But on a contemporary show, there’s always a lot of input from the producers, from Phoebe Waller-Bridge as well, because they have their own personal taste, which can come into play a little bit. Whereas working on a period show, which I often do, it’s a slightly different process. In a contemporary world, everyone’s swimming in the same sea, and wearing clothes and going to the shops and seeing stuff in the shops. So sometimes it can come down to a taste issue. But I always like, if I can, to push things a bit. And with a character like Villanelle, you can really push her because she’s rather extraordinary kind of … she’s a bit out there, isn’t she? She’s acts on a whim. Or at least that’s what I was hoping to try to achieve with her clothing. She’ll constantly surprise you. Just when you thought she was wearing something outrageous, she’ll suddenly come in wearing something quite classic. Or else she’s dressed as an NHS nurse, you know what I mean? So you can never pin her down. When you’re reading a script, what information do you get from the page? Well, for instance, have you seen the episode where she goes to the psychoanalyst to see if she’s losing her edge, and she wears the big pink Molly Goddard dress? Yes. That’s an amazing dress. That sort of bubblegum pink. I mean, in the script it says she’s wearing a big poofy dress. But it’s a big opportunity for her to do a sort of very girly thing, but undercut it by putting it with boots. That came from me more. And I thought that Molly Goddard stuff was just perfect for that more insouciant, putting two fingers up, rather subversive [moment]. So, I like that. Because it’s a very strong statement on camera, there was some discussion about it and whether to go a bit more classical. But in the end, they did go with it, and I’m glad they did because I thought it worked well. Yes, but it’s also Jodie Comer, because she’s … you couldn’t put that dress on any actress and bring it off. She’s got the kind of chutzpah to wear those things with just the right amount of nonchalance. What are the guidelines and challenges in trying to costume Eve? Ah yes, Eve! That was quite tricky because there’s tremendous contrast between them. Eve’s got no dress sense at all. Never, never thinks about what she looks like, at all. Is just not aware of what she looks like, it’s not just on her agenda. Whereas of course Villanelle is super, hyperconscious of what effect she’s having on everyone. The thing is that Sandra Oh is rather an elegant person. She’s quite an elegant woman. And, um, actually it was really quite tricky. Because she always looked really good, even if I put her in sort of terrible, old [clothes] [laughs]. I don’t know if it really worked as well as it could’ve! There is a contrast between them. [Eve] wore those sort of easy-to-launder things, and we tried to crumple them all up so it looked like she’d just left them in a heap in the corner of the room, never hangs anything up or anything. Whereas Villanelle stores them all away in a wardrobe and sort of gloats over it. So I just don’t know how … do you think that worked? Did you get that sense that Eve never thinks about her appearance at all? Yes! Some of her outerwear, especially — like with her super-practical coats. I thought she should look a bit like her and her husband go camping a lot, or something. She wears that sort of anorak-y thing. It’s raining and she just sticks that on. At the beginning I did sketches and was thinking of making stuff for her. And we got a lot of stuff from charity shops. But a lot of it didn’t work on Sandra, somehow. She’s very petite, elegant, and I was originally thinking of someone who’s quite shambolic looking. Someone who might tend to be a little overweight, whose left button is undone without realizing. But she just … Sandra’s just not like that! So I adapted. I think the producers, and Phoebe, kept thinking, “Can’t you make her look more ‘untogether’?” I did my best! Villanelle is constantly trying to dress Eve, like in the suitcase full of clothing she gives her. Can you tell me about the dress that’s in there, and what else is in that suitcase? I think it really works! It was all done in a hurry! 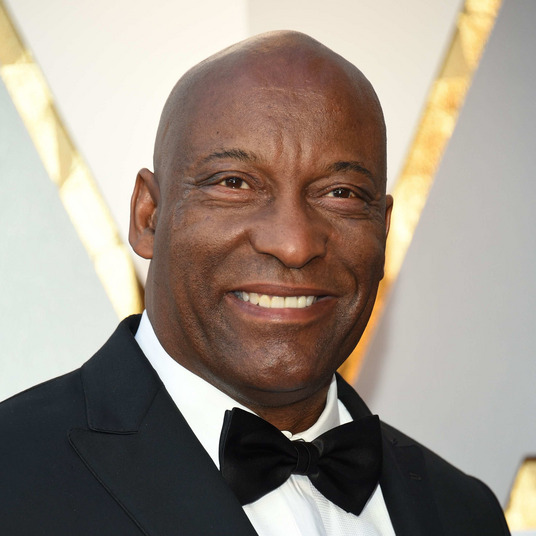 Were there a lot of tight production deadlines? Oh, it’s always like that in television now! You work very fast all the time, the schedules and shooting schedules are so tight. Things come rearing up very quickly. Yes, we did tend to work at quite a lick. What was your favorite item of clothing? Was it the Molly Goddard dress? Yes, I loved that one. It hit the nail on the head. I actually quite liked … [Villanelle] killed someone in Bulgaria, it was a horrible sort of nighttime office with horrible lighting, and there’s a sickly green Miu Miu jacket, and we put some patches and stickers on it. Have you got to the bit in the Russian prison yet? 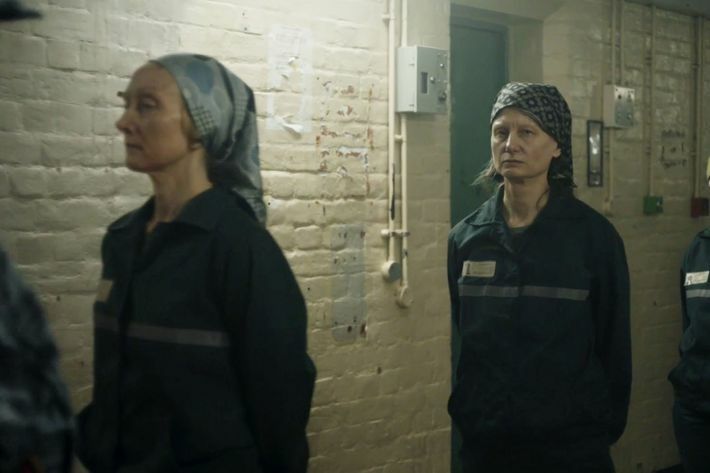 [The Russian prison appears in episode six, which runs on May 13.] I quite like the Russian prison things! They were these horrible headscarves and things. I liked all that, because that was all made in Romania and it was made rather at arm’s length; I couldn’t go out and supervise it. I have a very good Romanian assistant out there. And that was all done in a bit of a hurry and quite cheaply. And I was very pleased with how it turned out! It’s a nice contrast, isn’t it, with Paris, to go to this grim prison. There’s a line I really love, when Eve and Villanelle are sitting together at the table, and Villanelle says she has just one question: “Is that a sweater … attached to a shirt?” Can you tell me about that line? That’s pure Phoebe, because she’s fascinated by things like that. And then [Eve] puts it on, doesn’t she! It’s an all-in-one thing with blousy bits stitched into the neck. Charlotte, in our company, she found that in a charity shop, and we were delighted! Yeah, that was in the script. Everything is in response to the script, and to the actors, and the director, and Phoebe, of course. It’s very collaborative process. That’s what I quite like about it, I must say. It’s quite stimulating. The thing you have to be careful about is sometimes if there’s loads of voices saying, “It should be this, it should be that,” and the idea can get a bit watered down. Do you know what I mean? So that’s something that I feel I have to guard against, be careful about. Because that’s a shame. So if it starts getting a bit committee-ish, you end up with neither Arthur nor Martha. Does it feel different to do costumes for a show like this where they’re such an explicit part of the story? Well, that’s a great opportunity for a costume designer, isn’t it! It’s lovely, it gives you scope and room to play. I’m glad you seem to like it so much! I think Phoebe Waller-Bridge is very interested in clothes herself, and that’s all in it. It’s not that it wasn’t in there and then I came along, you know! I was responding to her interest.